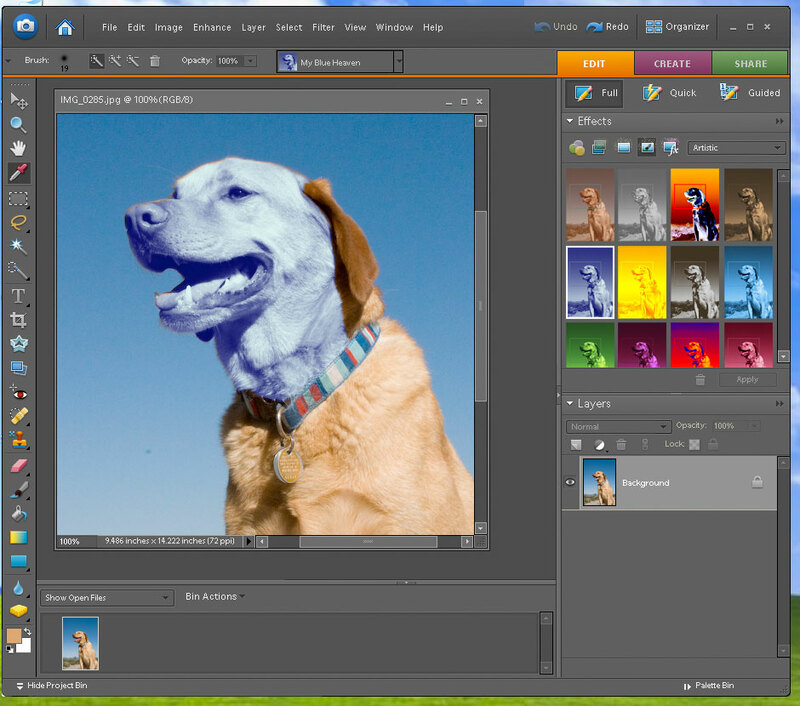 The new Smart Brush tool was the major enhancement to the Photoshop Elements Editor in version 7. 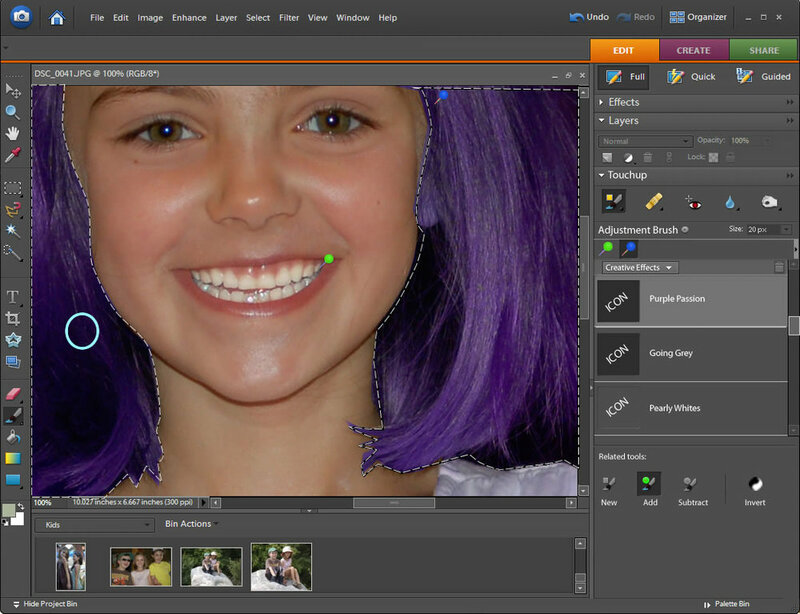 The feature is actually a combination of several tools in the editor, including layer adjustments, layer masks, and the quick select tool. The feature allows novice/amateur users to easily create powerful visual effects by simply “painting” the effect on the canvas. The Smart Brush has two modes, standard and “detail”. In the standard mode, an edge detection algorithm is used to detect edges in the photograph and constrain the layer mask to that area. 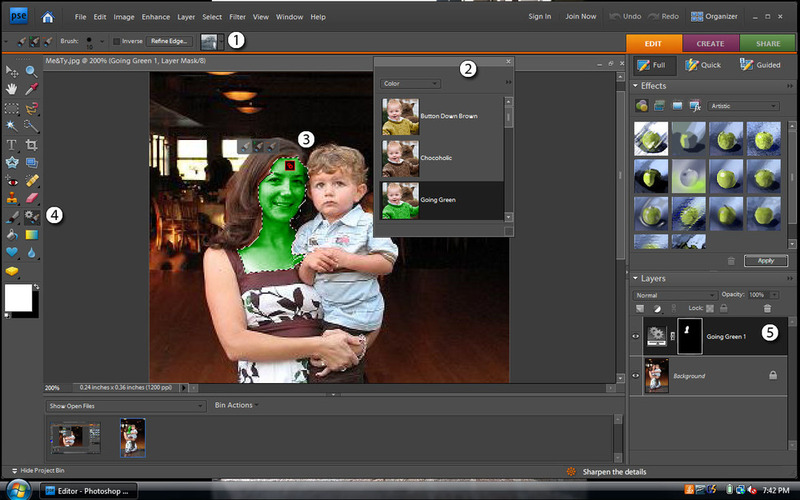 Detail mode allows for greater control by painting directly onto the mask. The user can choose from an array of different effects, all of which can be adjusted by more advanced users by making adjustments to the adjustment layer or mask. 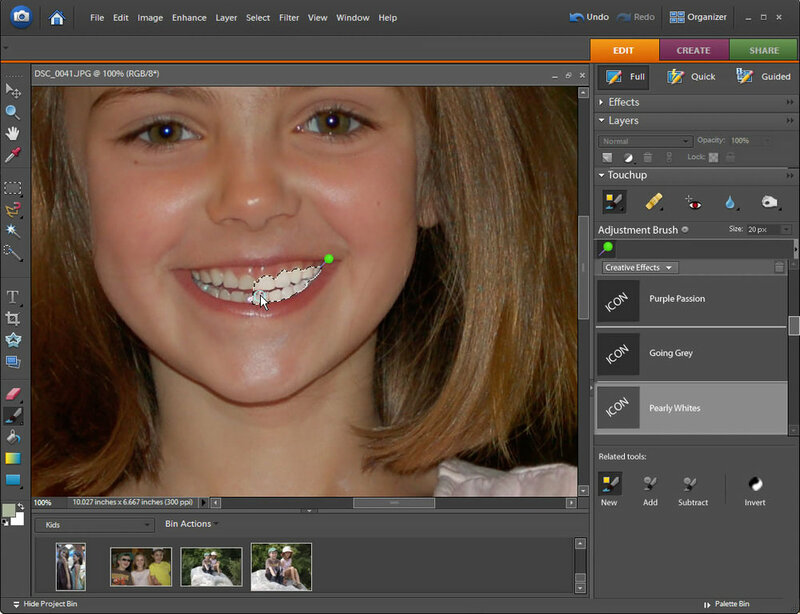 The smart brush was simplified for the Editor’s Quick edit mode. The feature was limited in this mode to three tools, Whiten teeth (tooth brush), blue sky (cloud), and black and white.